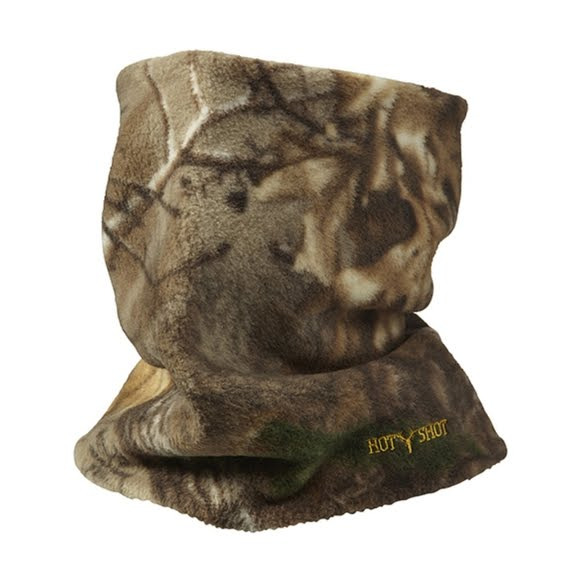 The "Gator" fleece neck gaiter, is a staple in Hot Shot's Hunting assortment, and pairs with any of their fleece beanies. With a coated StormProof™ liner, the Gator will protect from harsh winds while being comfortable against your neck. The "Gator" fleece neck gaiter, is a staple in Hot Shot&apos;s Hunting assortment, and pairs with any of their fleece beanies. With a coated StormProof™ liner, the Gator will protect from harsh winds while being comfortable against your neck. This product features StormProof™ fabric that has a wind and water resistant laminate, ideal for protection in all weather conditions.